The growth of babies is dependent on many factors and sleep is the most important one among them. However, sleeping only at night does not provide the required rest the baby needs. Thus, taking frequent naps is necessary for them. It is important that babies are urged to sleep at short intervals. However, it is also crucial that the baby’s natural tendencies are also taken into account when taking naps. And it’s completely normal for some children to sleep for an extended period once and for others to take several naps throughout the day. Providing a comfortable sleeping environment can help you in encouraging your baby to take naps during daytime. Make sure that the room in which your child sleeps is peaceful and remains cozy throughout the day. Keeping the lights dim and using shades which block out the light is one way of telling your baby that it’s time for him to take a nap. Moreover, maintaining a comfortable temperature of around 70 degree Fahrenheit in the baby’s room is also a way of ensuring that the baby has an uninterrupted and peaceful sleep. 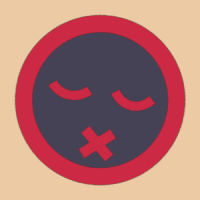 When encouraging a baby to sleep, fixing a spot for him that he can associate with napping can help a lot. Therefore, you should try your best to make your baby nap at the same place where he sleeps at night, which can make him associate the spot with sleeping. You can put him to sleep in a stroller when you are taking him out, but he must sleep in his designated sleeping place when he’s at home. Babies tend to take naps more easily if you put them to sleep at the exact time. For instance, if you put him to sleep after lunch and develop a habit of doing it, he will start feeling sleepy after lunch and would take his nap without any struggles. Once you have formulated a steady sleeping plan for your child, avoid disrupting it. Don’t take part in any activities that come in the way of this napping schedule. Another way of helping a baby to take a nap is to come up with pre-nap rituals or practices. These can range from playing a song or cuddling your child. The aim of this ritual should be to signal your child that it is time for him to take a nap. Try to find the right ritual that your baby recognizes and enjoys, and then keep doing it before his nap time. Playing music or repetitive sounds can also help you in putting your baby to sleep during the day. Paly recorded lulling tone which are also known as white noise such as sound of vacuum, a running faucet or womb sounds on a tape recorder during your child’s naptime. You can also play lullabies to your child to put him to sleep as well. Always put your baby to sleep on his back and make sure that there are no toys lying around where you are putting him to sleep. Dress your child in cozy and light clothing which will make it easier for him to sleep. Make sure that the games you play with your child before his naptimes are less noisy and do not stimulate him too much as it would make it harder for him to fall asleep. When travelling, always take something that your baby can associate with sleep, like books, so that you can put your baby to sleep if his naptime arrives while you are on the move. Some babies tend to take short naps at regular intervals on their own and do not require you to encourage them to take naps. How Many Naps Does My Baby Need During Daytime? Taking naps during the day is important for the development of the baby. He must be encouraged to take regular naps during daytime so that his body and brain get the enough rest they need to grow. Newborns sleep for about four hours both in the day and night, and should be allowed to rest as much as they want. You don’t need to develop a sleeping pattern for them as far yet. 8-week old babies have to sleep at least 4 times a day to get the rest they need. Around 3 to 4 months old, babies tent to start a more predictable sleep pattern during daytime. It is best to start developing a napping schedule for babies of this age. At 6 months old, babies tend to nap 2 or 3 times a day, mostly in the morning, early afternoon and before evening. 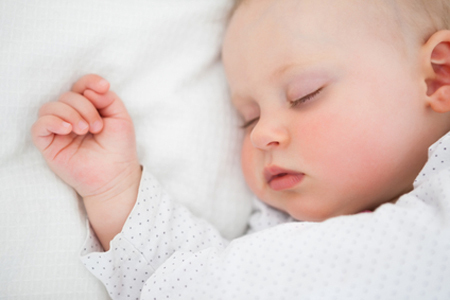 Babies will nap only twice a day in the mornings and afternoons when they turn to 9 to 12 months old, but they will start to sleep only in the afternoon by the time they are a year and a half. Important note: The nap times mentioned above are general in nature and do not apply to all babies since all babies are unique and they might have a different sleeping pattern which does not correspond to these guidelines. However, do remember that your child must sleep for at least an hour during daytime to provide him the rest that is required by his body for the restoration process. How Many Diapers Does a Baby Use a Day?